Pick-up is available for hotels located in Cancun and Riviera Maya from Monday to Saturday. Your pick-up schedule will be sent by email after booking. In case we don’t have pick-up service for a specific hotel or location, you will be asked to meet us at the nearest meeting point available. 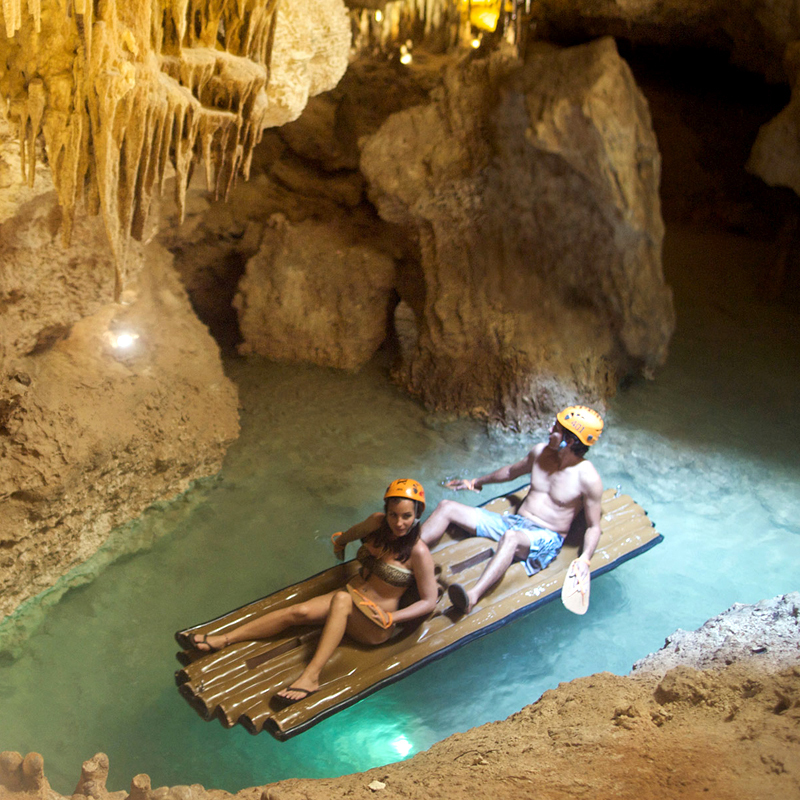 Tour leaves from Xplor at 5:30 pm and returns at 7:30 pm. SKU: xplor-park-tour-1. Categories: Tour Packages. 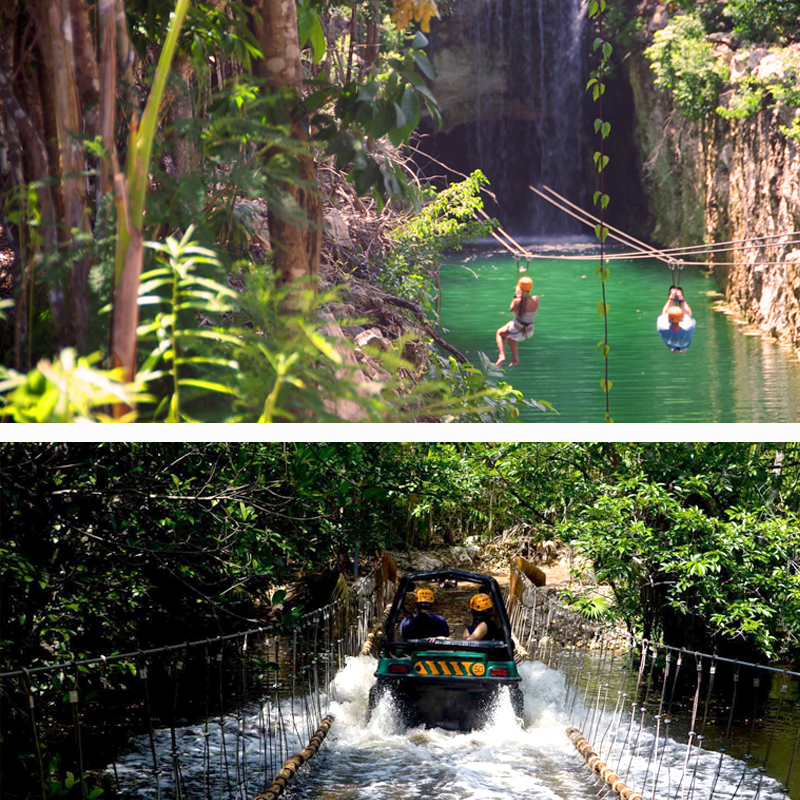 The whole idea behind this park is explained in its name, Xplor park is full of adventures such as Zip lines, Amphibious Vehicles and Underground rivers. 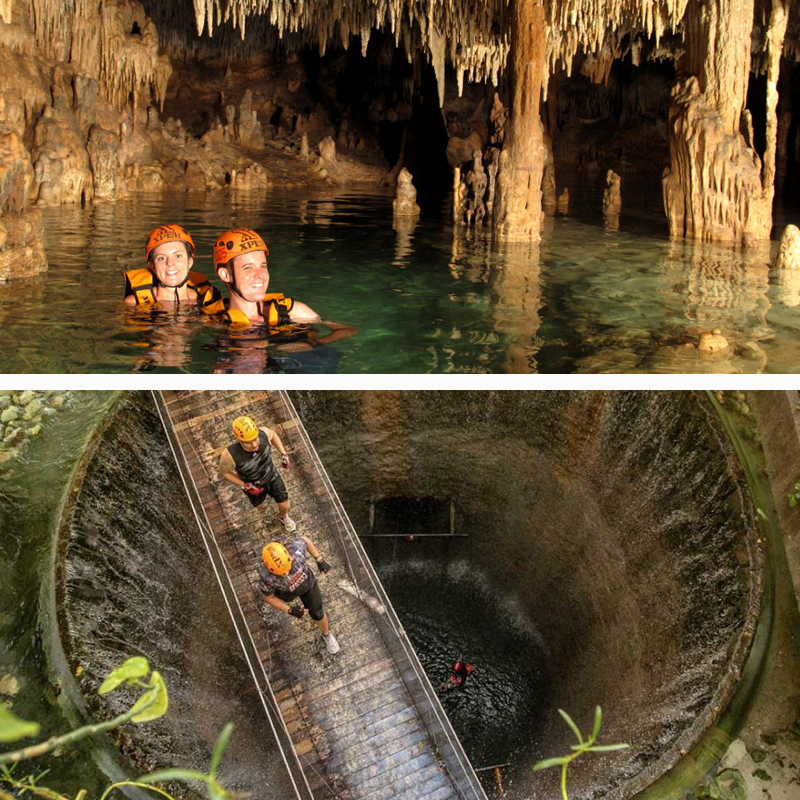 This is a place where you can have the experience of a lifetime, especially if you dare to be adventurous. 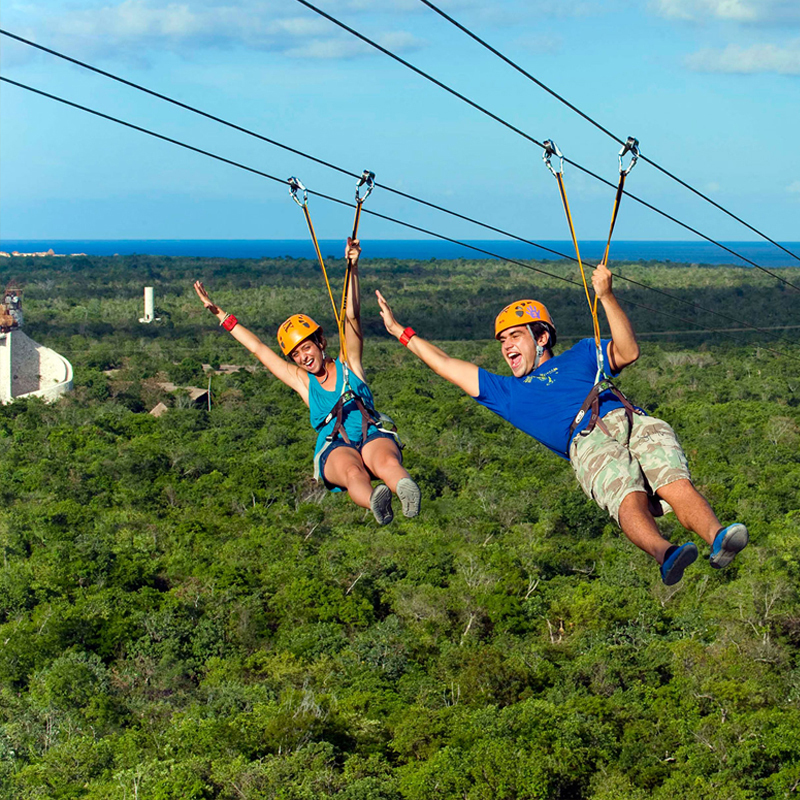 Xplor has been one of the most visited Parks by the tourists in Cancun and the Riviera Maya, and the history of this place began 65 millions years ago, when an asteroid, 10 km in diameter, crossed the Earth’s atmosphere. 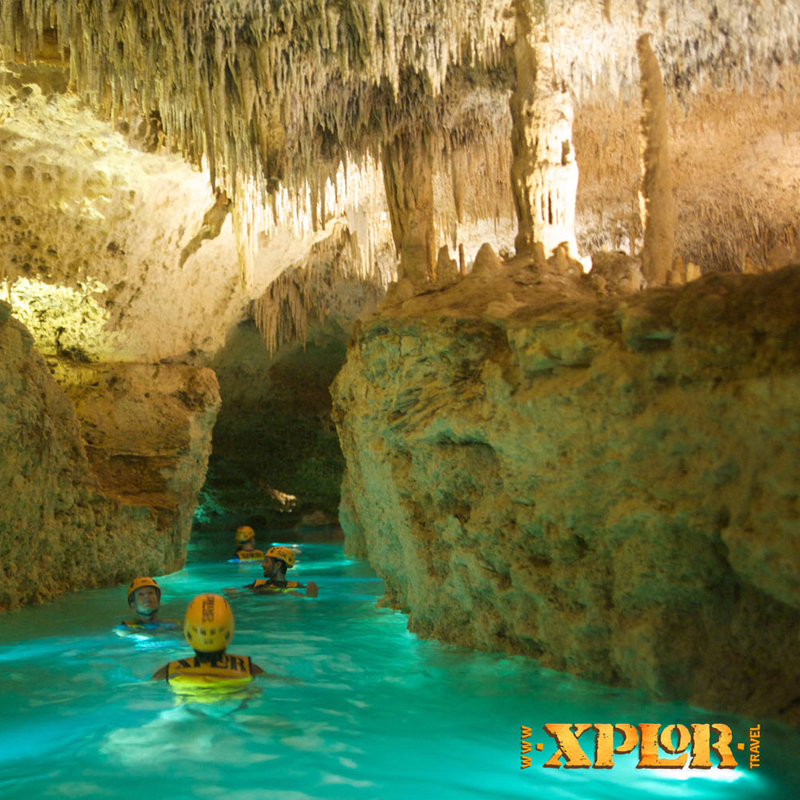 Mother nature created these amazing sculptures and this incredible underground landscape called, Xplor. 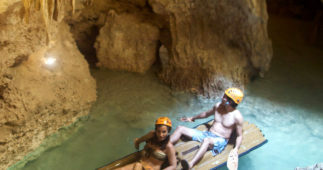 This place will amaze you with the spectacular stalagmites and stalactites that have been built drop by drop at this impressive park which is natural work of art. 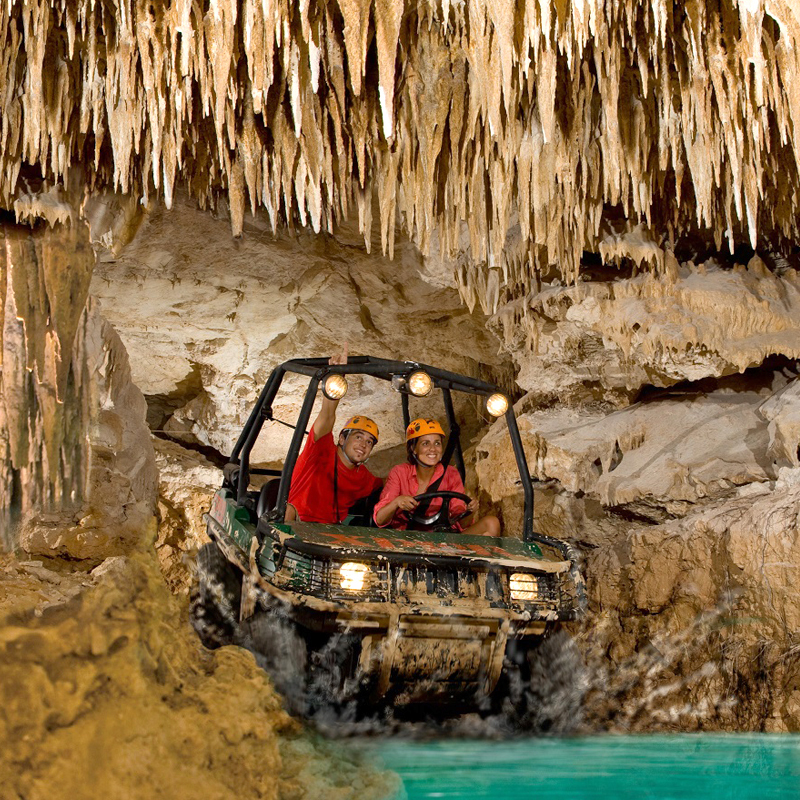 This adventure starts with pick up at your hotel, depending where it is located in the Riviera Maya or Cancun. Once you arrive at the park you will be guided to the check in area, and then you will be taken to receive a briefing of the area and how to get to the different places in the park. 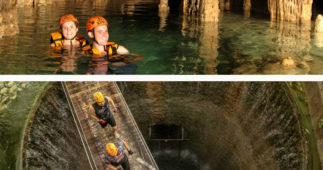 This is the place where the adventure starts with incredible activities such as zip-lines, amphibious vehicles, rafts and swimming in the underground river. All these adventures are nature related, and will take place in a natural outdoor atmosphere. There is a really good juice hut in the park where you can delight your palate with unlimited smoothies and juices. As a part of this adventure, you can enjoy a delicious healthy buffet at the Troglodita Restaurant. 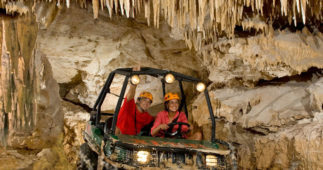 The amphibious vehicles are to be driven through the jungle and through the caves, then you can fly on a 13 Zip line circuit over the lush vegetation, swim and raft as you explore the underground river among these beautiful rock formations. 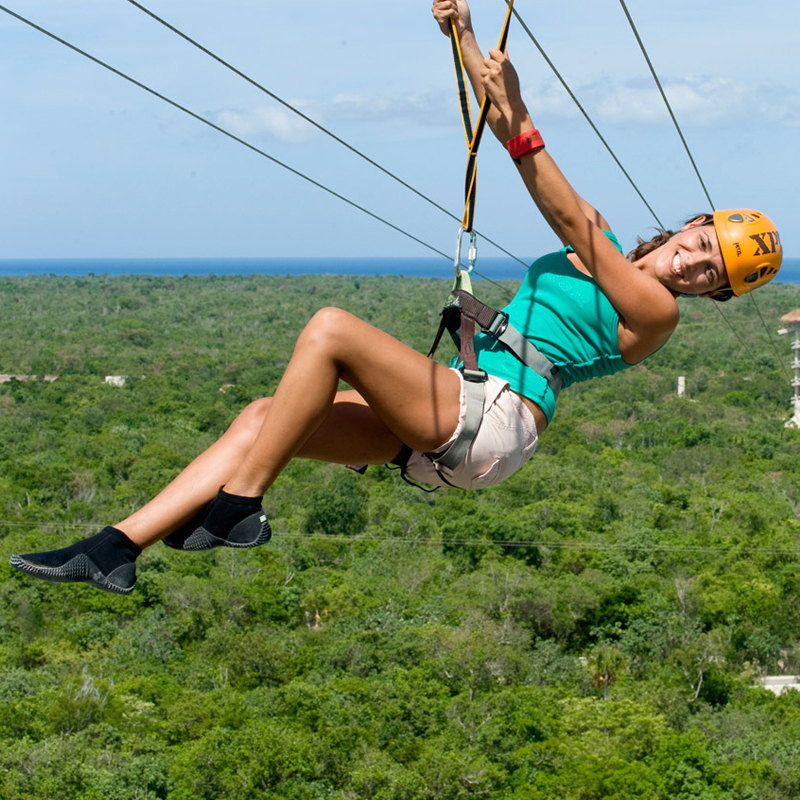 The only thing that is important here in Xplor, is your spirit of adventure. 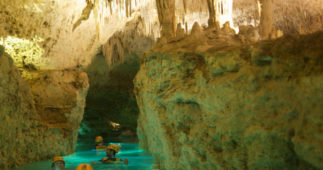 This is an All Inclusive Tour with round trip transportation from Cancun or Riviera Maya, and unlimited lunch and beverages at the park. Round trip transportation with air conditioning. Unlimited drinks (coffee, hot chocolate, shakes & fresh juices only). Full equipment (life vest, helmet, harness, raft and hand paddles and amphibious vehicle for 2 adults and 2 children) depending on the activity you choose first. The minimum height and weight required for the zip-line activity is 55” and 88 pounds (maximum weight permitted of 300 pounds). The minimum age to enjoy Xplor is 6 years old. Children between 6 to 11 years old get 50% off adult ticket price.